This organic roll-on deodorant is enriched with natural alum crystals and meadowsweet floral water to effectively protect against perspiration and control body odour. From Acorelle comes another innovation in natural health and beauty care. Alum crystals have been used since ancient times for their antioxidant properties and their ability to fight the bacteria that causes bad smells without blocking the pores of the skin. Meanwhile, the essence of meadowsweet flower eliminates smells caused by sweat and calms and purifies the skin to prevent irritation, even on sensitive underarms. 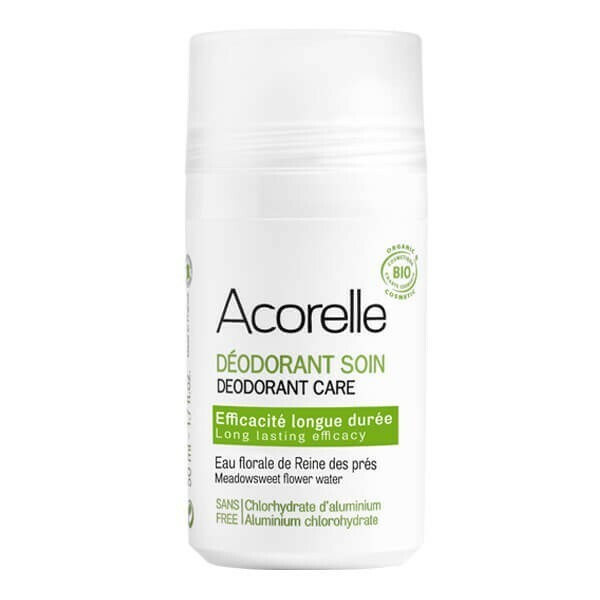 This Acorelle roll-on organic deodorant is also enriched with glycerine, which helps to reduce perspiration and deeply nourishes and moisturises the skin for a smooth touch. 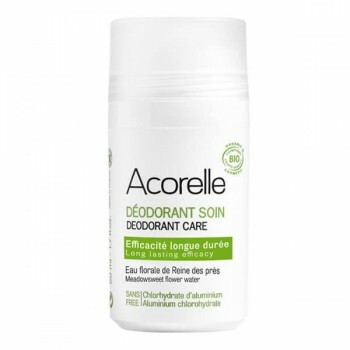 With its compact size, this deodorant fits discretely into any handbag or suitcase for ease when travelling. To protect against irritation, do not use on cracked, broken, recently waxed or shaven underarms. For beautiful skin, use daily with an aloe vera face and body wash and moisturiser, available from Cosmeto Nature.